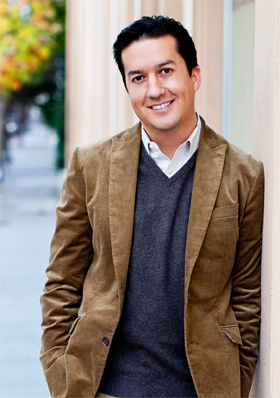 As the technological gold rush continues in Silicon Valley, one young Latino made history when he became the first Latino mayor of Palo Alto.Home to companies like Hewlett-Packard as well as Stanford University, Palo Alto is a technological fortress of the American high-tech sector but it didn’t have a Latino mayor until Sid Espinosa was elected in 2011. Just 38, Espinosa was also the first Latino to ever hold public office in this town. At the end of his term earlier this year, Espinosa left office with the highest approval ratings ever recorded, an achievement made all the more extraordinary considering the whole time he continued in his position as Director of Corporate Citizenship at Microsoft, where he’s responsible for millions of dollars in philanthropic programs. Espinosa’s journey began in nearby Gilroy, where he admits he wasn’t the best student in his early years. Underperforming in the 2nd and 3rd grades, Espinosa credits his mother for getting him on track by convincing the principal that he should be placed in the gifted and talented program. After graduating from Wesleyan University, Espinosa went on to Harvard’s Kennedy School of Government to earn a graduate degree in public policy. In 2000, after a stint at the Justice Department during the Clinton administration, Espinosa joined Hewlett Packard where he rose to the position of Director of Global Philanthropy. He traveled extensively around the globe in that position and then found himself back home in Silicon Valley in 2008. Now overseeing Microsoft’s investments in workforce development and training programs, Espinosa says Latinos can benefit if given opportunities and the right tools, as he was early on. But many Latinos in the region don’t have those opportunities. In 2011, the Hispanic Foundation of Silicon Valley released the first ever Silicon Valley Latino Report Card. It found that the quality of life for Latinos, who make up almost a third of the population, is improving, but not nearly enough. The grades in the report card are as follows in five areas: education-C, health-B, financial stability-D, housing-D and environmental sustainability-C. Among the key findings for education were that Latino children enter kindergarten with a high capacity to learn, but fall back by the 3rd grade, recalling Espinosa’s experience. Also, only one third of Latino students are on par with other groups when it comes to reading in the 3rd grade and math in 8th grade. Ron Gonzales, the President and CEO of the Hispanic Foundation, says that just as the region has undergone several transformations, changing from “prune capital of the world” to hi-tech hub, Latinos can change their fortunes in the region. Gonzales served as mayor of San Jose from 1999-2006 and is credited with improving public education and ensuring the economic vitality of America’s 10th largest city, the “Capital of Silicon Valley.” Before his election as mayor, Gonzales was also with Hewlett-Packard and served for eight years on the Santa Clara County Board of Supervisors. On the upside, the report also found that Latino adults and children in Silicon Valley have better health insurance coverage than Latinos statewide, but they’re still less likely to be insured than non-Latinos. Fewer Latina teens in the area are becoming mothers as well even though the teen birth rate for Latinas is higher compared to other groups. And Latinos are eager to work—they have a higher labor force participation rate than non-Latinos. Long-time resident of Silicon Valley Ray Ruiz says the tremendous growth in the hi-tech sector presents an opportunity for Latinos to enter an industry they haven’t traditionally been a part of, since just 3% of Latinos work in hi-tech. Ruiz is a sitting board member of the National Hispanic University (NHU) in San Jose, which was established in 1981 with the mission of offering Hispanics a multicultural educational experience. But it’s equally clear that the future success and growth of the hi-tech companies located here will depend on the quality of the talent coming out of the local pipeline, a pool of candidates of which Latino students are a vital component. Priscilla Reza is the director of the Latino College Preparatory Academy (LCPA), a charter school for high school students focused on English language learners. LCPA was the inspiration of the late Dr. Roberto Cruz, a visionary educator who also founded NHU. She says the school is trying to prepare students to enter college and ultimately dive into the highly-competitive pool of candidates for jobs at the likes of new companies such as Google and Facebook. But it’s working, since the school recently celebrated placing 92% of its students at a college of their choice. Many LCPA graduates go on to attend NHU, fulfilling Dr. Cruz’ dream of an eight-year educational pipeline for Latino students. Another unique challenge facing Silicon Valley is increasing the participation of Latinas. Women have historically been underrepresented here and for Latina employees, the number dwindles down even more. However, corporations in the area are rising to the challenge by creating partnership programs with government agencies, schools and professional associations to address this issue. Hoffman’s point is proved by Ileana Rivera, Cisco’s Director of IT for Latin America. She graduated with an engineering degree from the University of Puerto Rico in Mayaguez and went on to get a master’s degree in information systems from the University of San Francisco. Rivera says she has first-hand knowledge of the challenge of recruiting Latinas to STEM with her 12-year-old daughter, who is far less enthusiastic about math class than she is about art. Rivera also serves as a board member for Conexion, Cisco’s Latino Employee Resource Group, where she leads the Talent Pipeline strategic pillar. For the past two years, Cisco has run a career fair for 300 at-risk high school juniors. Working with partner schools, the company also holds a contest where students get to design a “city of the future.” The winners get to visit Cisco headquarters and meet with engineers for mentoring sessions.